The editors of the quarterly OSCAR NEWS magazine are now starting their hard work to put together the next edition. This will be published around the end of June. Your news, views and articles for Oscar News are always very welcome. These really are the most exciting times to be involved win the amateur satellite world with so many unique new projects underway. The magazine continues to provide interesting details about these various space missions and the groundstations needed to communicate with them. We are able to accept your input in almost any of the usual formats but please keep the images separate or put them at the end of the document. 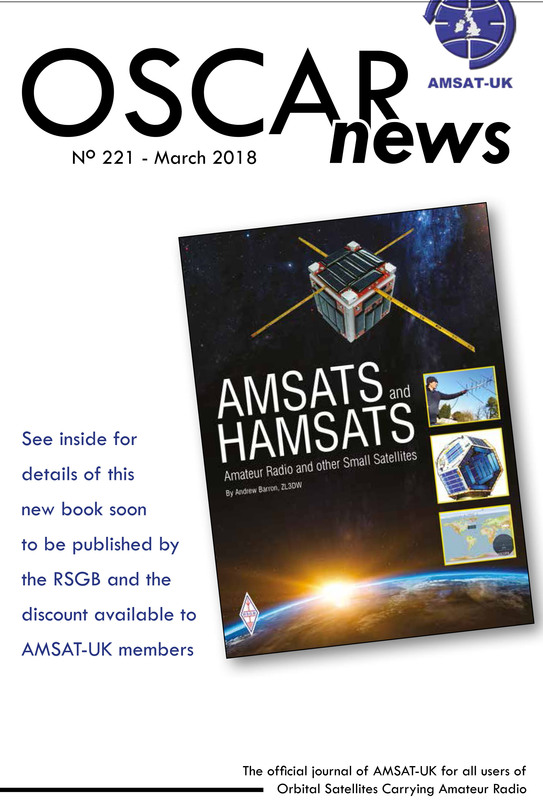 Please contact us at ON-editor@amsat.org with your information or if you have any questions.